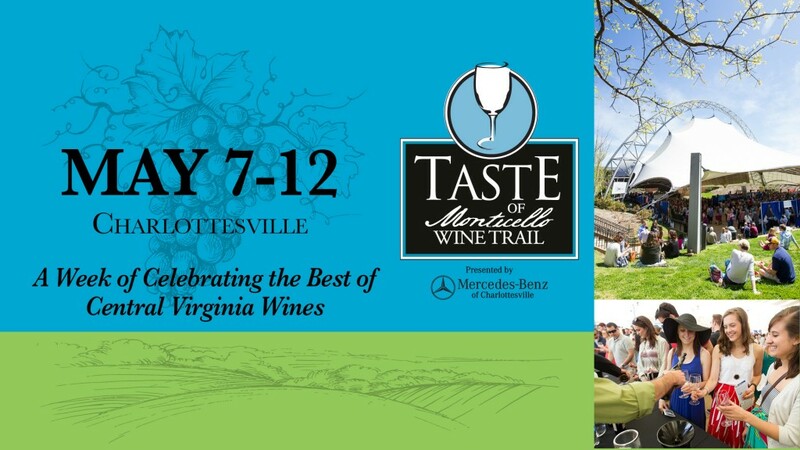 CHARLOTTESVILLE, Va. – Expanding to six days this year, the 2018 Taste of Monticello Wine Trail Festival presented by Mercedes Benz of Charlottesville will return to Charlottesville to celebrate the best of wines in the Monticello American Viticultural Area (AVA) of Virginia beginning Monday, May 7 through Saturday, May 12. Events will take place at the Jefferson Theater, multiple area wineries and restaurants, and Sprint Pavilion. Tickets are on sale now and will be available at monticellowinetrailfestival.com and the Charlottesville’s Visitor Center on the downtown mall. Patrons will again have the opportunity to enjoy a variety of events available with optional VIP upgrades. The 3rd Annual Monticello AVA Sparkling Brunch will be held at the Afton Mountain Vineyards’ pavilion and feature sparkling wines from five area wineries all perfectly paired with a farm to table inspired menu. PURCELLVILLE, VA (PRWEB) – Catoctin Creek Distilling Company has won multiple awards at the San Francisco World Spirits Competition (SFWSC), including a Double Gold medal for the cask proof version of its popular Roundstone Rye Whisky that was finished in premium French Bordeaux oak barrels used to make the distillery’s 1757 Virginia Brandy. Released just a twice a year, Roundstone Rye – Cask Proof is a strong and dark pre-Prohibition style rye whisky made from 100-percent rye grain. The rarely given Double Gold is awarded when all members of the esteemed competition’s judging panel give a Gold medal designation. Founded in 2009 by the husband and wife team of Becky and Scott Harris, Catoctin Creek uses local and organic ingredients to produce a variety of premium spirits, including Roundstone Rye, which holds distinction as Virginia’s most-awarded whisky. With Scott running business operations and Becky focused on the art of crafting the finest spirits in the Commonwealth as chief distiller, the couple leads a small team of employees that are proudly making a variety of high-quality products in an historic building in the quaint downtown of Purcellville, Va. For more information about Catoctin Creek Distilling Company visit http://www.catoctincreek.com. The San Francisco World Spirits Competition is considered one of the most influential spirits competitions in the world. Started in 2000 with the purpose recognizing top products in the craft spirits industry, the 2017 SFWSC received 2,100 entries, the most in the competition’s history, and spirits were judged by a panel of 43 experts in the industry, including acclaimed critics, mixologists, and restaurateurs. For more information about the SFWSC visit http://www.sfspiritscomp.com. About Catoctin Creek Distilling Company: Catoctin Creek Distilling Company (120 West Main Street, Purcellville, VA 20132; Twitter: @catoctincreek) is the first distillery in Loudoun County Virginia since before prohibition. Family owned and operated, Catoctin Creek produces premium spirits: rye whisky and gin from organic sources, and brandy from Virginia wines. For more information please visit http://www.catoctincreek.com. 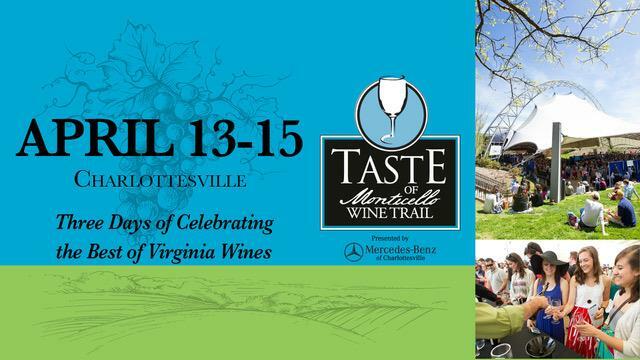 CHARLOTTESVILLE, Va. – The 2017 Taste of Monticello Wine Trail Festival presented by Mercedes Benz of Charlottesville will return to Charlottesville to celebrate the best of wines in the Monticello American Viticultural Area (AVA) of Virginia beginning Thursday, April 13 through Saturday, April 15. Events will take place at the Jefferson Theater, on site at 10 participating wineries, and Sprint Pavilion. Tickets are available at monticellowinetrailfestival.com and the Charlottesville’s Visitor Center on the downtown mall. For the first time, patrons will have the opportunity to purchase the Ultimate Wine Enthusiast 3-Day Pass to enjoy a variety of events available with optional VIP upgrades. “Taste of Monticello is a celebration bringing together the very best of what our region has to offer. We are proud to showcase our wines and the emerging food and wine culture that surrounds Charlottesville,” says MWT President George Hodson. The Monticello Wine Trail Festival will feature more than 25 participating regional wineries and vineyards, including: Afton Mountain Vineyards, Barboursville Vineyards, Blenheim Vineyards, Burnley Vineyards, Cardinal Point Vineyard & Winery, Chestnut Oak Vineyard, Delfosse Vineyards and Winery, Early Mountain Vineyards, First Colony Winery, Flying Fox Vineyard, Gabriele Rausse Winery, Glass House Winery, Grace Estate Winery, Horton Vineyards, Jefferson Vineyards, Keswick Vineyards, Kilaurwen Winery, King Family Vineyards, Loving Cup Vineyard and Winery, Michael Shaps Wineworks, Pippin Hill Farm & Vineyards, Pollak Vineyards, Reynard Florence Vineyard, Stinson Vineyards, Stone Mountain Vineyards, Trump Winery, Veritas Vineyard & Winery, White Hall Vineyards, and Wisdom Oak Winery. 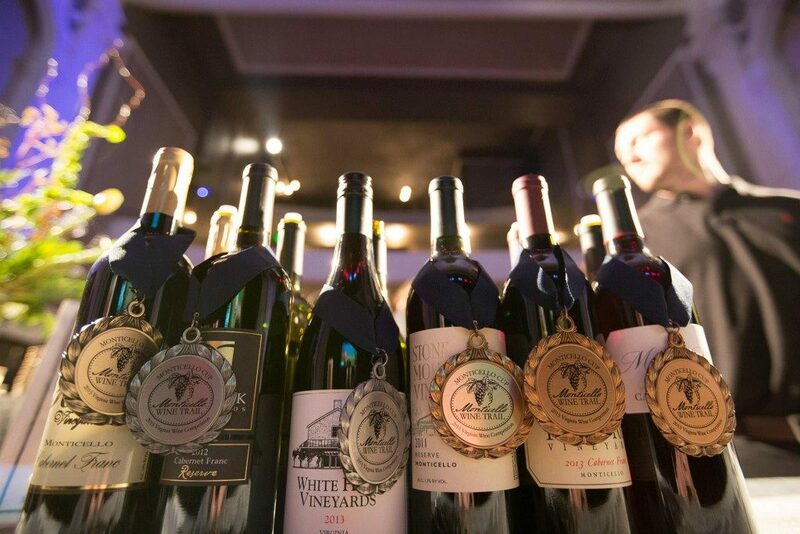 An exciting event for the wine enthusiast, taste award-winning wines along side the winegrowers and winemakers who made them and see who takes home the prestigious Monticello Cup. A day of showcase winery events highlighting the dynamic food and wine culture present within the Monticello AVA. Attend a Sparkling Brunch, Rosé Lunch, barrel tasting, winemaker dinner or an evening of chocolate, music and wine. 3-Day Pass holders will have access to exclusive winemaker tours at select wineries during the afternoon. Time: 1:30-5:30 p.m. (VIP ticket holders gain early entry at 12:30 p.m.). For event details and locations, visit monticellowinetrailfestival.com. These events will have limited tickets available depending on location. For more information on the Monticello Wine Trail Festival, visit monticellowinetrailfestival.com, and follow on Facebook and Twitter at @TasteMonticello. Williamsburg Tasting Trail – Proof That History Can Be Fun! Raise a Glass or Pint to Williamsburg, Virginia! (Code for Alcohol Tasting Trail) for Adults! This is proof that history can be fun! WILLIAMSBURG, Va. – Sept. 2016 – Did you know the first beer brewed in America was in Greater Williamsburg? Yea. They kind of leave that fun fact out of the history books. Oh, and wine. They planted vines for wine and brewed beer almost as fast as they built forts, houses, churches, etc., and they are still at it. As a matter of fact, there has been a boom in brew pubs, distilleries and even a meadery of late. Our country’s first settlers believed that alcohol served many great purposes – from healing the body to giving energy to the weak and elderly. In fact, the drinking water was often so contaminated that spirits were actually the best way to go, and go on! And while Greater Williamsburg is known for beautiful amusement parks, world-class archeological digs, and maybe the most important battlefield in America, it’s also where we, America, learned to drink and make drink. So it’s only fitting that there is now the Williamsburg Tasting Trail, dedicated to craftsmanship, hands-on approach and high production standards of drinks with alcohol. Talk about acquiring a taste for history. The establishments on this trail have perfected the art of making delicious handcrafted beverages, and many are pioneers in the Williamsburg area. 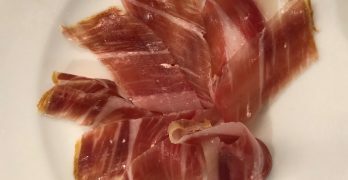 Check out WilliamsburgTastingTrail.com for more info, tips and maps to lead you on your way. The Williamsburg Winery: Vines have been grown on and off here for more than 350 years. The largest winery in Virginia, The Williamsburg Winery offers tours and tastings of its award-winning wines, a vineyard on its 300 acres and two excellent dining venues, the Gabriel Archer Tavern and Café Provençal. 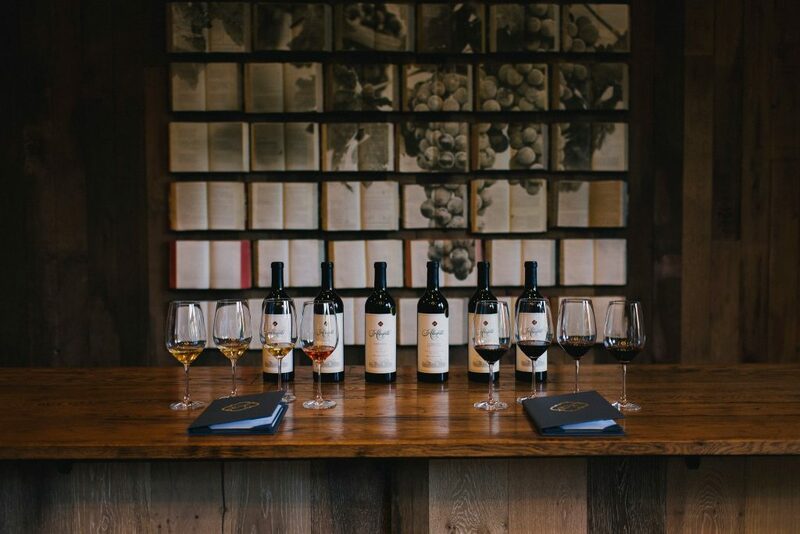 The winery offers a Tour and Tasting with Dinner Experience that includes a tasting of seven vintages plus a three-course dinner at Café Provençal. For a full immersive experience, you can overnight on the property’s charming 28-room European-style country hotel, Wedmore Place. The Colonial Virginia Wine Trail: The Colonial Virginia Wine Trail features four of Virginia’s best wineries, including The Williamsburg Winery, and all within a one-hour drive of Williamsburg. No matter where you start or finish your wine-trail adventure, you are sure to enjoy great wines, great food and lots of fun along the way. Alewerks Brewing Company: Alewerks has been brewing award-winning beer in Williamsburg since 2006. Weekend tours and guided tastings are offered in its taproom and outdoor biergarten, showcasing up to 16 beers on tap, from year-round offerings and special small batches of great variety, to cask ale served weekly. The Virginia Beer Company: The Virginia Beer Company is a new-to-the-scene brewery, taproom, and beer garden which focuses on a high quality core lineup and a rotation of limited edition beers. VBC’s family friendly taproom and pet friendly outdoor beer garden feature a weekly schedule of food trucks, events, live music, and more. Brass Cannon Brewing Co.: Brass Cannon Brewing offers kegs, growlers and draft selections in its brand new location on Mooretown Road. In addition to five year-round brews, enjoy four cycling seasonal selections and a quickly rotating line of langrage beers in its tasting room or outdoor patio. 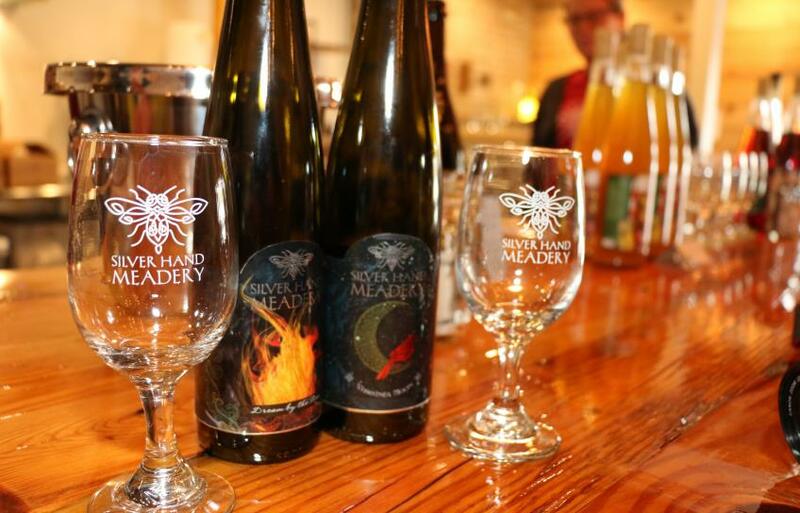 Silver Hand Meadery: The area’s first meadery opened in late 2015 to offer this ancient honey-based fermented drink, entirely produced on the premises. The Silver Hand Meadery offers tastings and light-food pairings with the mead production completely visible to patrons. Copper Fox Distillery: Copper Fox opened its Williamsburg distillery in July, 2016. In addition to producing craft whiskies and gin from hand-malted, locally grown barley, smoked and aged with American fruitwoods, the facility has plans to introduce a new line of spirits to its offerings. 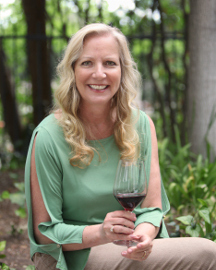 Based in Santa Rosa, Calif., Vineyard & Winery Management is a family owned multimedia company that produces wine industry trade publications, conferences, trade shows and wine competitions. 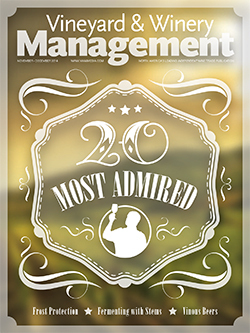 The company publishes Vineyard & Winery Management magazine, which has the highest circulation of any North American wine trade publication. V&WM’s conferences and trade shows include Craft Beverages Unlimited, and the Midwest Grape and Wine + Craft Brew Conference. 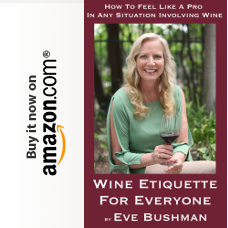 Its wine competitions include the International Wine Channel TV Awards, The Press Democrat North Coast Wine Challenge, Grand Harvest Awards, East Meets West, and the International Women’s Wine Competition. See vwmmedia.com for more information.